It is made of wood. It also becomes an interior, it also becomes a child's toy. It is made in Japan using natural wood. It is a cute ornament that can be used as an interior of a room or entrance. It is round and adorable. It is also recommended for animal lovers. It is perfect for the New Year in red color. It uses natural wood, made in Japan safe. 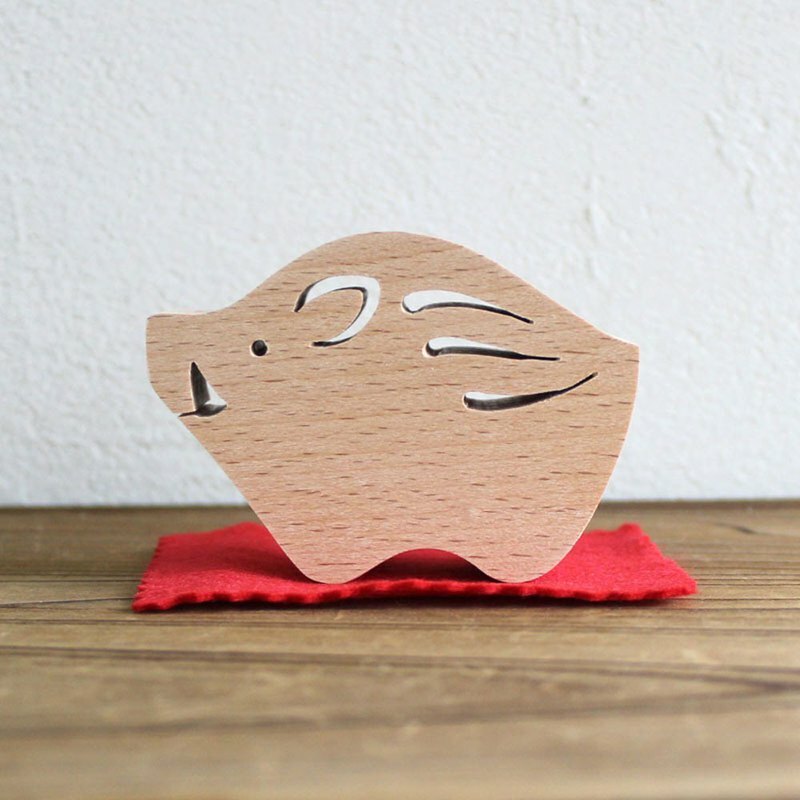 Wild boar　1 Rug (red)　1 ·size Wild boar size　Approximately 75×55×25mm · Material Beech Japanese processed goods using natural wood Because we share inventory with other sites, it may be sold out at the timing of your order. In that case we will contact you separately. Please acknowledge it beforehand.